Once upon a time LED lamps (bulbs) cost $30 a piece. Now those days cease to exist. The increase in demand and manufacturing process becoming streamlined have allowed the costs to drastically decrease. LED is 6-7 more times energy efficient than Incandescent lights. The life span runs from 25,000-50,000 hours on average. The initial purchases of Incandescent lamps are considerably cheaper compared to LED but have higher long term costs. Replacing a 60 watt Incandescent with an LED equivalent will save around $130 in energy costs over the life span of the lamp. An average American household has the ability to cut $150 from its annual energy bill by replacing Incandescent with LED lamps. The link below displays the usage of wattage between LED, Incandescent, and Compact Fluorescent lamps, in addition to the differences between the three light sources. LED comes with unfamiliar terminology that is puzzling. Life Expectancy is rated based on the number of hours the lamp will glow at 100% capacity. 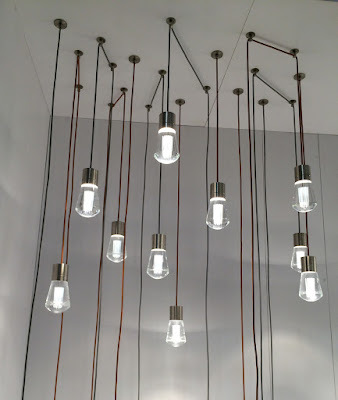 Unlike an Incandescent lamp LED will not burn out after the end of its estimated hours of lifetime. Instead LED emits 70% of its initial light output. Lumen Rating determines the amount of light emitted per second. The higher the lumen rating, the brighter the light. Color Rendering Index (CRI) evaluates the accuracy of color. 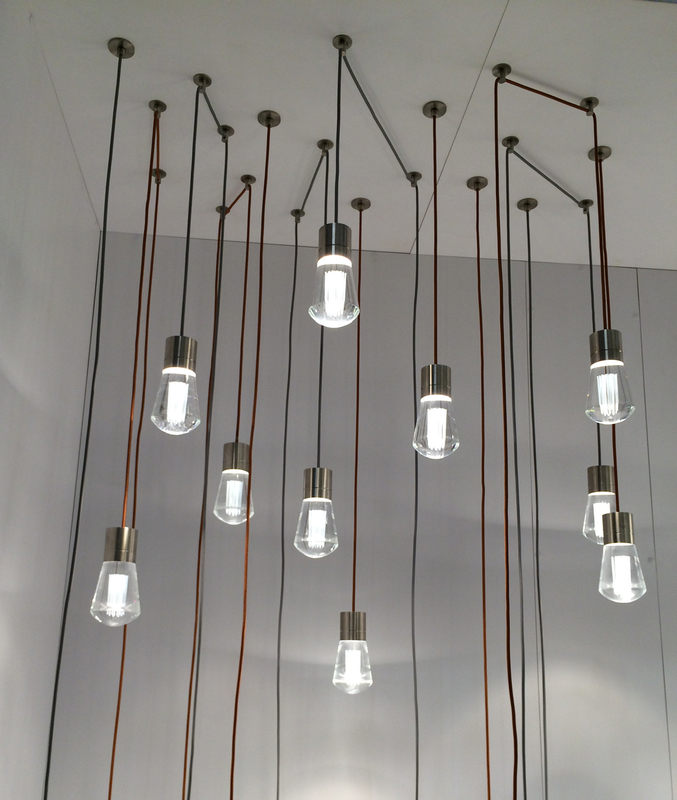 Incandescent lamps have a CRI of 100, equal to natural sunlight. The CRI of LED stays around 80 to 93. The higher the CRI on an LED lamp the higher the cost. 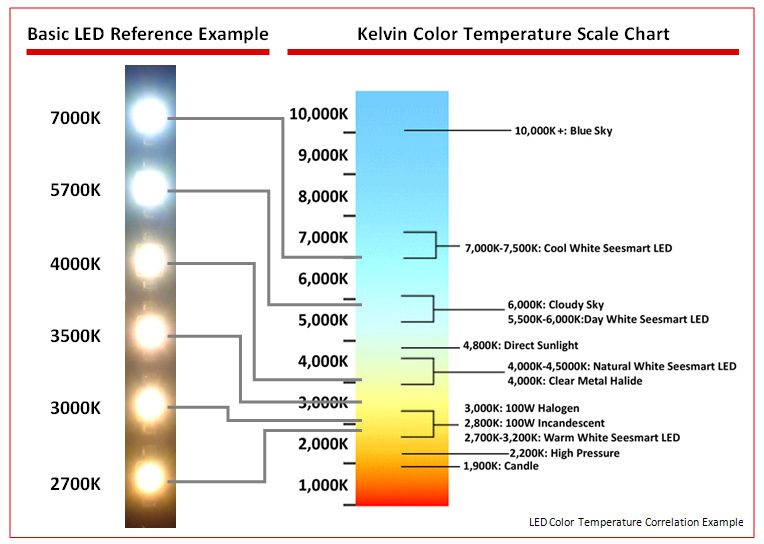 Kelvin Color Temperature Scale measures the softness or coolness of light. 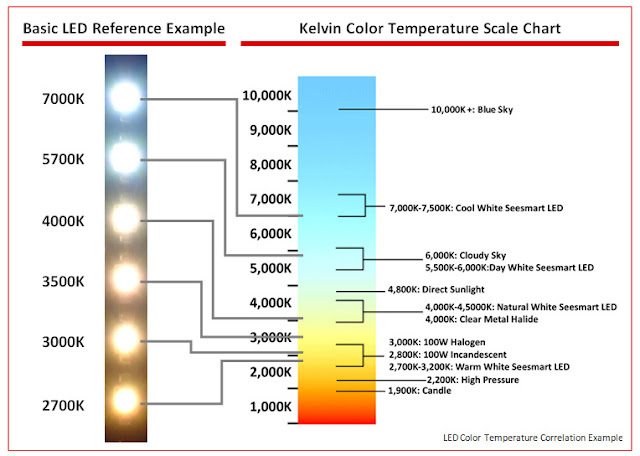 A candle glows around 1500K (Kelvin) while a typical commercial Fluorescent light runs near 4100K. LED lamps used in residential homes should usually stay between 2700 and 3000K. The increase of Kelvin Temperature causes the light to become more blue and crisp. Most retrofit lamps will work with a standard dimmer. Integrated LED fixtures require either a magnetic or electronic low voltage dimmer depending on the type of driver. If an LED is put on an incompatible dimmer it’s likely the light will flicker and make a faint buzzing noise. Packaging or specification sheets will state that LED lights can be dimmed and specify a compatible dimmer switch. LED will not work in an enclosed environment. LED lamps will work in enclosed fixtures but it reduces their life span. These lights thrive in cool temperatures. If it is in an enclosed fixture the lamp will gradually build up heat causing the life span to shorten. LED technology is continuously changing. Be wary that this information could be invalid by tomorrow!